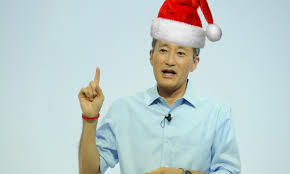 Playstation 4 sells over a millions PS4s during Christmas week! In the week leading up to Christmas and Boxing day the Playstation 4 sold a massive 1,143,573 MILLION consoles with the nearest rival shifting just 572,378, the Xbox One. Wii U managed 380,548 units while Vita sold 196,172. The 3Ds nearly beat out Xone with 520,163.